It's a pretty cool looking base level. The main drive of the detailing is minimalistic lighting, not too dark for you can't see but enough that the contrast against light sources leaves you with the image of enemy silhouettes. Excepting places like the upper sewer section right off the start, of course, which is more of a "fade to black in the distance" sort of darkness. One of the big tropes you'll see is running board lights in hallways or alcoves. If you stop and really check it out then you'll see that it isn't painstakingly realistic lightcasting but it definitely suits the tone of the map. Memfis sneaks a bright color into the starry sky by using one from Evilution with brilliant cosmic phenomenon; the juxtaposition injects a little bit of wonder. 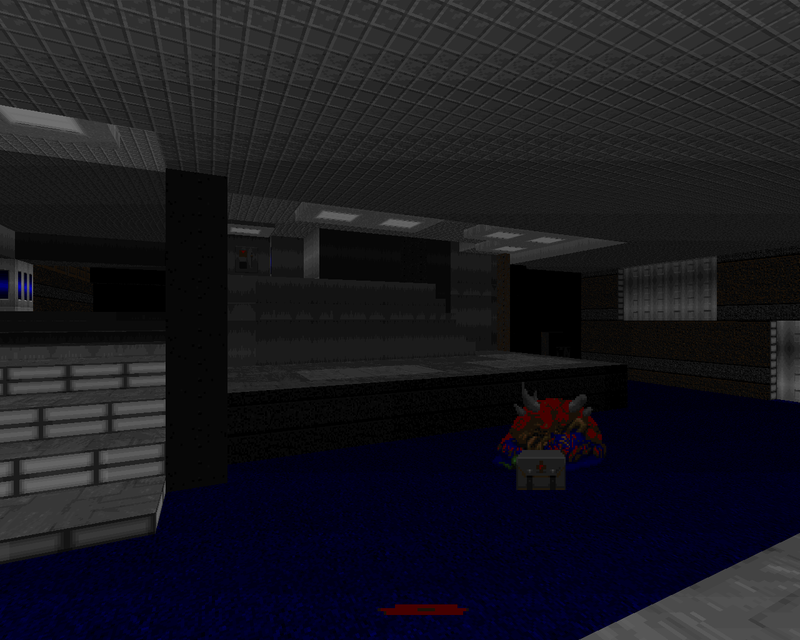 The thing placement is tight enough that I wouldn't just blithely shotgun zombies and sergeants when starting out. As with Green Day, though, precise use of the pistol will buy you enough margin to play fast and loose where it counts. 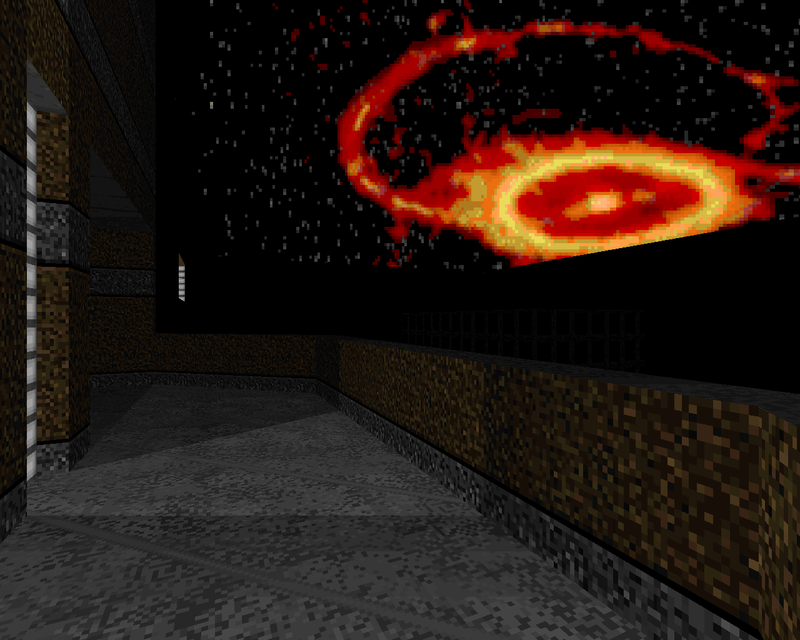 There are a couple of potentially jarring encounters involving Doom II monsters lurking around. One of them isn't so bad since you're given a pillar for cover, you can hear it before you see it, and the preceding situation plays to your advantage. 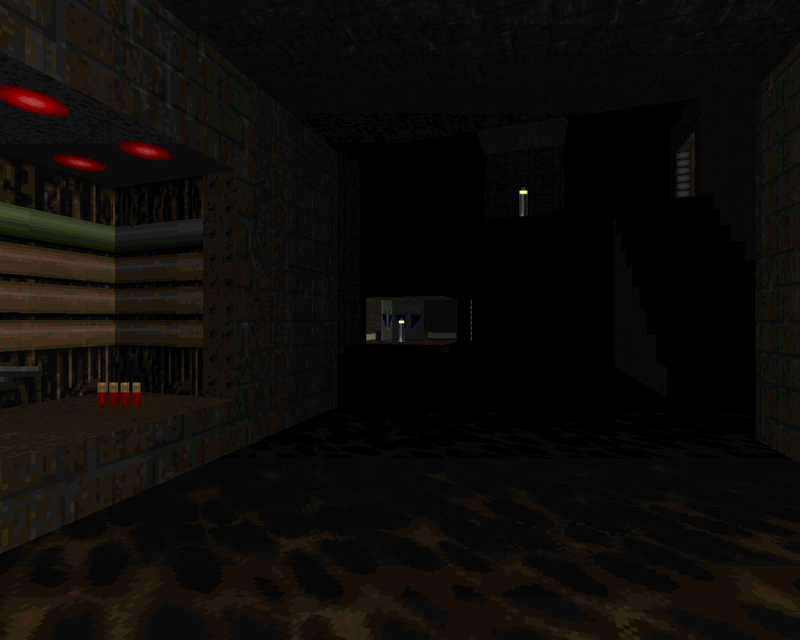 The early revenants are more scary given the low lighting and the fact that you won't see the super shotgun until the final portion of the level. The layout has a very positive flow. All of the major portions are connected by a hallway running from west to east and has a very gentle zig-zag. Taking any of the detours naturally returns you to the corridor because either there is plainly nowhere else to go or moving forward just routes you as such. The end goal is to flip switches in the disparate areas so that you can use the pillar on the east end to proceed to the exit area. There the monster density ramps up but I was more interested in the incredibly thorough architecture of the scenery beyond the exit. 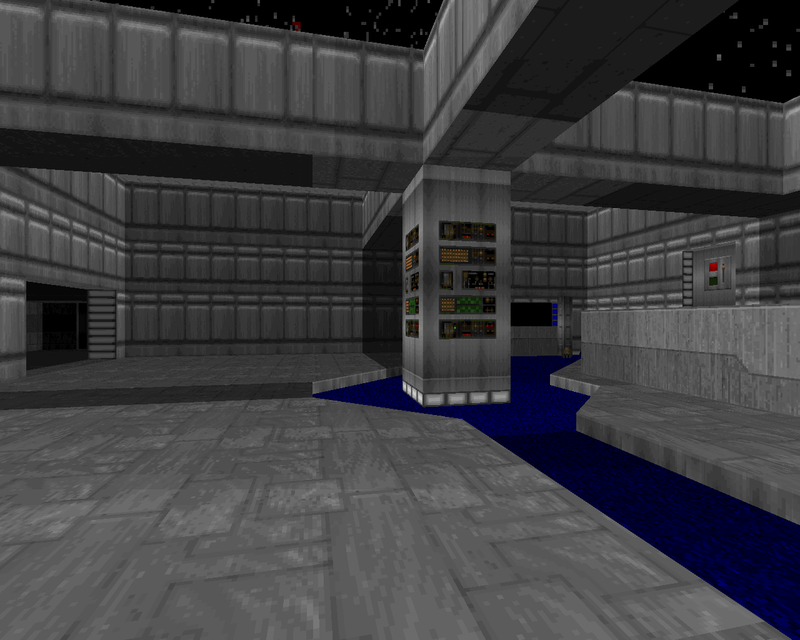 I would hazard that Memfis originally intended to either make a bigger level but stopped partway or craft a larger set where the end of one map served as the beginning of the next. Kurogane is a lean, action-filled map with a palpable atmosphere. 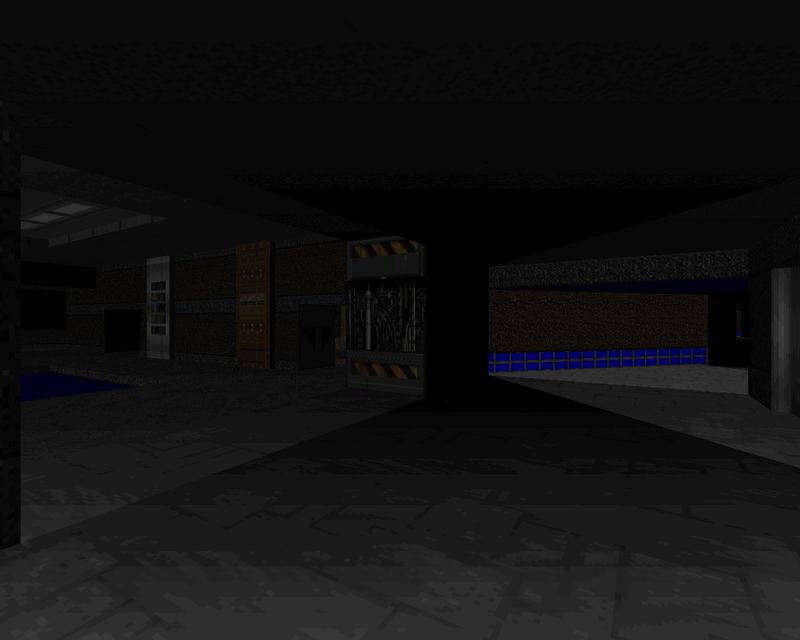 It showcases the author's talent for designing environments for the player to move through even if he isn't particularly enamored of his own monster placement. If you're looking for a semi-spooky tech-in-city outing then you could do a lot worse than this one. The music is Hell of sweet, too; relaxed yet urgent.